See everyone at City Park TOMORROW! Can’t wait to see all of those costumes and, of course, SWEET BIKES! 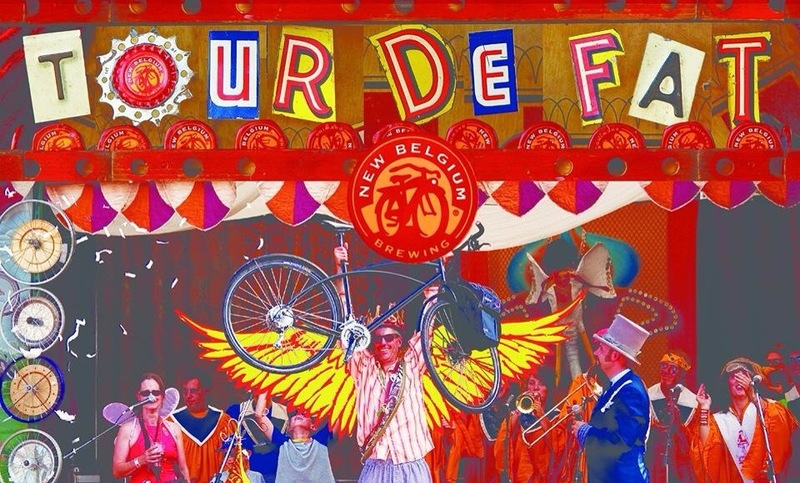 Grab your silly costume, and start decorating your bike because New Belgium’s Tour de Fat is making its way back to Denver on Saturday, September 6th! Tacos, Tequila, and Whiskey – Yes, please! *NEW* Menu items happening this Thursday at both the York and Highlands’ locations! Tomorrow, Pinche’s will unveil the 5 new menu items, so keep your eyes and ears to the ground….er, Facebook, twitter, and instagram! We’re so excited for even more deliciousness at, hands down, one of our favorite eateries of all time. Stay hungry, friends! Honestly, I ask you – what else do you need from a modern, Mexican eatery? Not only is the food outrageously good, the wait staff is incredible within this dim, but welcoming, restaurant. Inspired by “comida de la calle” or, Mexican Street Food, Pinche Tacos brings the street taco to a whole new level, serving up perfectly portioned favorites like pollo (chicken), carne (beef), carnita (pork), and new faves, like lengua (beef tongue). Served on two small tortillas, the tacos are ordered from what looks like a tapas-inspred menu, complete with appetizers like the mouth-watering queso fundido con tequila (see picture below). An oldy, but a goodie post – reconnect yourself with women in the bike community this Saturday at the Royal Rush Poker Run 2! Come visit the She Devils and understand what biking and the Denver community means to them. DenverSpeax was created at a time when I didn’t have a job, barely knew anyone, and had zero sense of the Denver community. We had just moved here from Michigan, and I hadn’t the first clue in where to meet people, or even if I did, how to become friends with them. Honestly, the website has proven to be a key tool in diving directly into the community, head first – taking it for everything it has to offer. By doing so, I’ve connected with the bike community, and in turn, made ridiculously awesome friendships. This is where the Denver She Devils come in to play: they will prove to be the missing link in my connection between biking and the Denver Community. Image courtesy of the Denver She Devils Facebook Page. Make sure to click on the picture to visit, and of course, like ’em! When I was referred to acupuncture by my physician, I initially thought he was an idiot. A form of traditional Chinese medicine, acupuncture was the last thing on my mind to help me reduce stress. Weren’t there other options? No – little tiny needles stuck in me like a pushpin would be the way to go, he said! 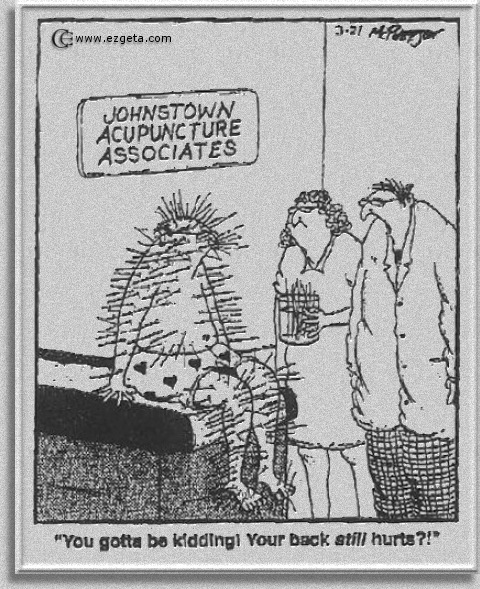 Acupuncture doesn’t hurt. The needles are barely thicker than a human hair. Many people associate needles with drawing blood or getting a shot – these are hollow needles, and sometimes painful. Accupuncture needles are virtually painless. While Eastern practitioners describe acupuncture as the free-flowing of energy or life force within the body, many Western practitioners explain acupuncture as places to stimulate nerves, muscle, and connective tissue. Acupuncture is used to reduce pain, relieve stress and allergies, and much more. On Groupon, I found an offer for a $17 acupuncture treatment, thought “what the hell”, and purchased. Before purchasing, I made sure to look up the local center providing the Groupon to confirm reputation – The Acupuncture Lounge has nothing but raving clients and good reviews, so I was quite confident that I would be in the best hands there. The session I had purchased was for one-hour in a group setting. It might sound strange to be laying down and receiving treatment in the presence of a group of people, right? Wrong. No one’s concerned with you – they’re too busy relaxing and enjoying their own sessions. The Acupuncture Lounge makes it easy to enjoy the session and relax, wiping your stress slate clean. The soft music enhances the experience, and all three times that I’ve visited, I’ve been able to take a nice little siesta. The staff at Acupuncture Lounge are friendly and helpful, answering any questions that you may have. They’re also relatable, and able to provide plenty of helpful tips to continue your stress-free journey after your sessions. Frequency of visits really depends on what you’re going to treatment for – The Acupuncture Lounge will be happy to help you carve out a plan. I’m happy that my physician recommended acupuncture; like I said, I would never have thought about this sort of treatment for stress, but it really is helping. I enjoy, and look forward to, my once per week visits – it helps me wipe the stress slate clean, and recollect myself. It helps me to remember my own goals and to focus on them, rather than sweating what we call “the small stuff”. Acupuncture can be used for ailments other than stress – helping with quitting smoking, pain, allergies, migraines – you name it. Check out the Acupuncture Lounge and give them a call with any questions you may have – try something different! You’ll be pleasantly surprised. Find more about what’s good in Denver by visiting our Facebook page. Share Denver Etsy Craft Party! Just came across this awesomeness – check out Share Denver, a space to learn all sorts of crafts and make sweet friends. There are so many things we’ve wanted to learn how to create, but didn’t have the right person to teach us or the patience for several Google vids – I think we’ve found our craft-making match! 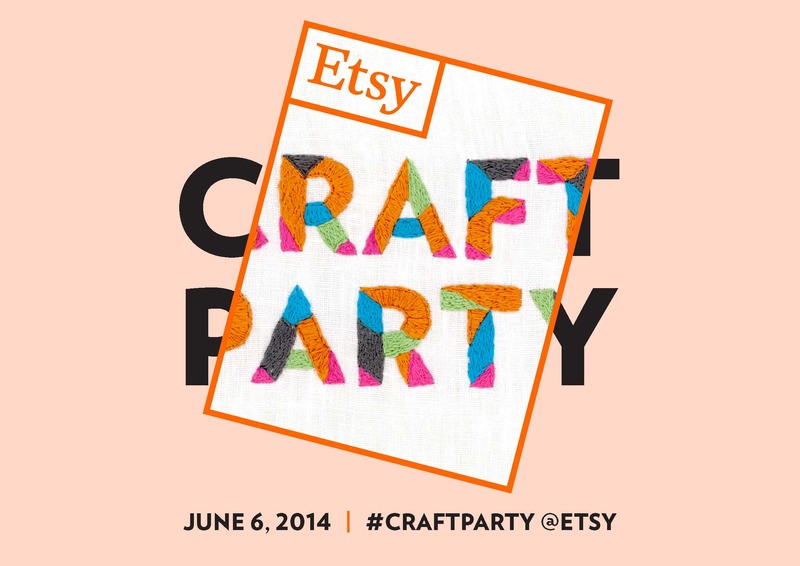 June 6th Share Denver is hosting an Etsy Craft party – thanks to Denver Craft Ninjas for sharing this great event. What are you doing June 6th from 6-9 PM? If you aren’t craftin’ at Share Denver…you’re crazy! Share is hosting their 1st ever Etsy Craft Party and I want you to join in the fun! 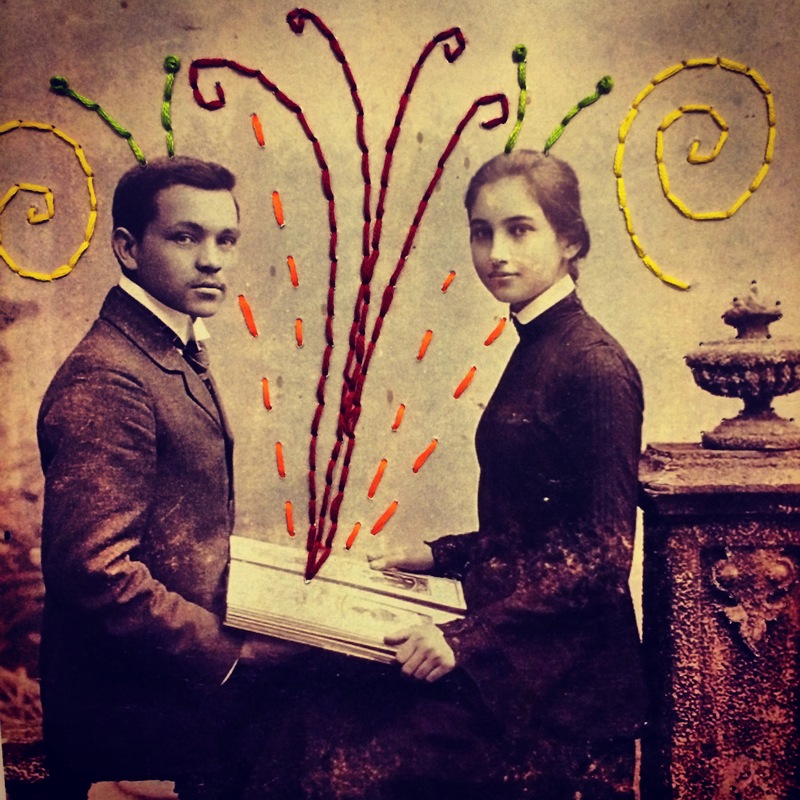 The theme of the craft party is “recapture” and we’ll be using really lovely vintage photographs and floss to decorate and embellish the images . Please feel free to bring your own photos if you’d like! We’re providing all the materials and beer too! All you have to do is sign up here (for a meager $5) and show up ready to craft and laugh and have a blast! 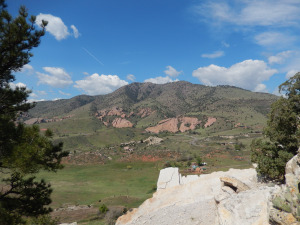 Reblogged on Denverspeax.com – this hike looks perfect for us! We need to get back into hiking this season and feel this would be a great start. 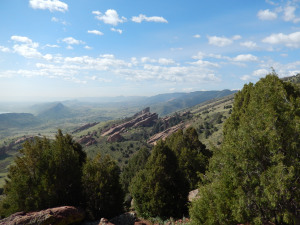 Nice post from Hiking to Healthy! Just a reminder: Don’t miss the Denver Flea tomorrow! We’re having a blast here in Jacksonville, Florida, promoting our CitySpeax expansion project. If you haven’t visited our project on OneSpark and registered to vote for #20643, please do! Your vote helps us get NOTICED and, hopefully, funded. Steve manning the booth at OneSpark! This was before our banner was created / hung as well as our signs created. Watch out our booth evolves over the next few days – we’re learning new things each day! At OneSpark, we hope to expand the “speax” branded websites to CitySpeax, one brand that supports all of the “speak” city websites promoting small business through features, recognition, offering of small business solutions including advertising, social media, and consultation. With the CitySpeax brand, we can support small businesses and strengthen communities as we have through our separate websites for Jacksonville, New Orleans, and Denver. Check out our project, Creator #20643, here, and vote for us! 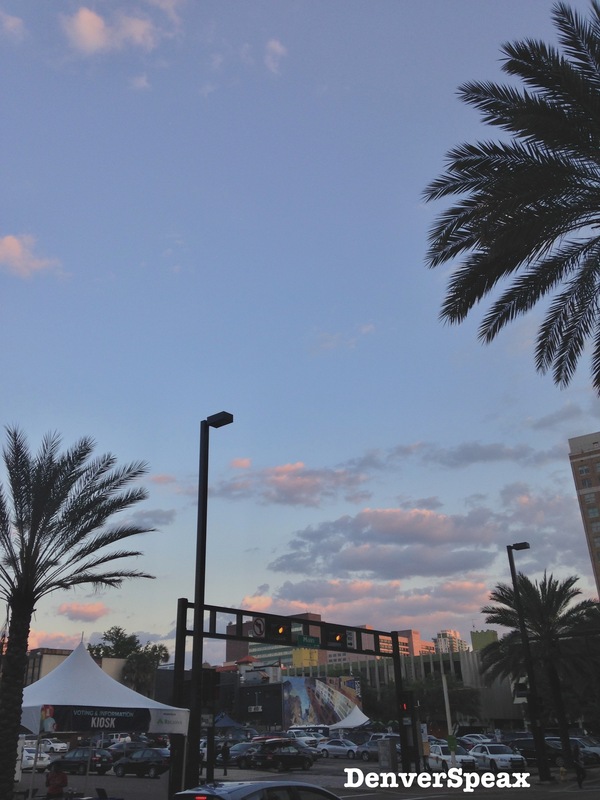 Beautiful Sunset at the end of Day 1 at OneSpark. Click on the photo to check out project and vote for us! Credit: Kirsten Ebey, April 2014.